The hardest working person in showbusiness has never been or ever will be a 'famous person'. One of my hardest parts of my job is to console the family members who have lost their life. The hardest thing in the world to do is to think, and that is why people do so little of it. It is the hardest thing in the world to be a good thinker without being a good self examiner. People tend to relax when they're off camera. That's when they should be working the hardest. Jesus reserved his hardest words for the hidden sins of hypocrisy, pride, greed and legalism. Life doesn't take itself seriously for long. Joy leaves an imprint even in the hardest sorrow. The hardest thing, particularly in the fashion industry in Canada, has been access to capital. God is the hardest taskmaster I have known on this earth and He tries you through and through. It might seem as the hardest thing to do, but you have to forget the guy who forgot about you. You ought to run the hardest when you feel the worst. Never let the other guy know you're down. Sometimes that's the hardest thing is to not do anything, but just to trust what's on the page. The hardest thing to accept as a parent is that you cannot apply the bandage before the bruise. One of the hardest tasks as a human being is knowing when to keep an open mind, and when not to. Without a doubt, rowing is the hardest thing you can attempt to learn in a short period of time. I guess, the hardest obstacles I've had to overcome in my life are deaths of people close to me. Success is mine when I work my hardest to become my best, and I alone determine whether I do so. To say something nice about themselves, this is the hardest thing in the world for people to do. I feel, as a songwriter, it's one of the hardest things to do - to sit down and say how you feel. Loss is the hardest thing, I said. But it's also the teacher that's the most difficult to ignore. Try to exist even under hardest conditions! That is the effort which deserves the applauses most! And so he did the hardest thing he'd ever done in his life: he picked up his hat and walked away. If foundations made of stone can turn to dust, then the hardest hearts of steel can turn to rust. The hardest fact in the world to accept is the inevitable mixture of evil with good in all things. The hardest thing to cope with is not selfishness or vanity or deceitfulness, but sheer stupidity. The hardest thing to attain... is the appreciation of difference without insisting on superiority. It seems to me that the years between eighteen and twenty-eight are the hardest, psychologically . The two hardest things to contemplate in life ... are failure and age; those are one and the same. For me the hardest struggle in my faith life was the Catholic Church is against the death penalty. Am I just chasing it because it's the hardest thing for me to get and I want to prove I can do it? Believe me, the hardest thing for a man to give up is that which he really doesn't want, after all. Family is the place where acceptance and validation are most needed, but often the hardest to find. Anyone can sit down and write some boring artistic song. Pop music is the hardest [stuff] to write. The hardest thing about being famous? Just working I guess. Just work. The famous part's the luxury. Do you know that being a stranger is the hardest thing that can happen to any one in all this world? What if trials of this life, the rain, the storms, the hardest nights, are Your mercies in disguise? Songwriting is best. It's the hardest ... finest ... tightest. It also requires the most discipline. I thought comedy would be the hardest thing I could do, and if I could do that, I could do anything. 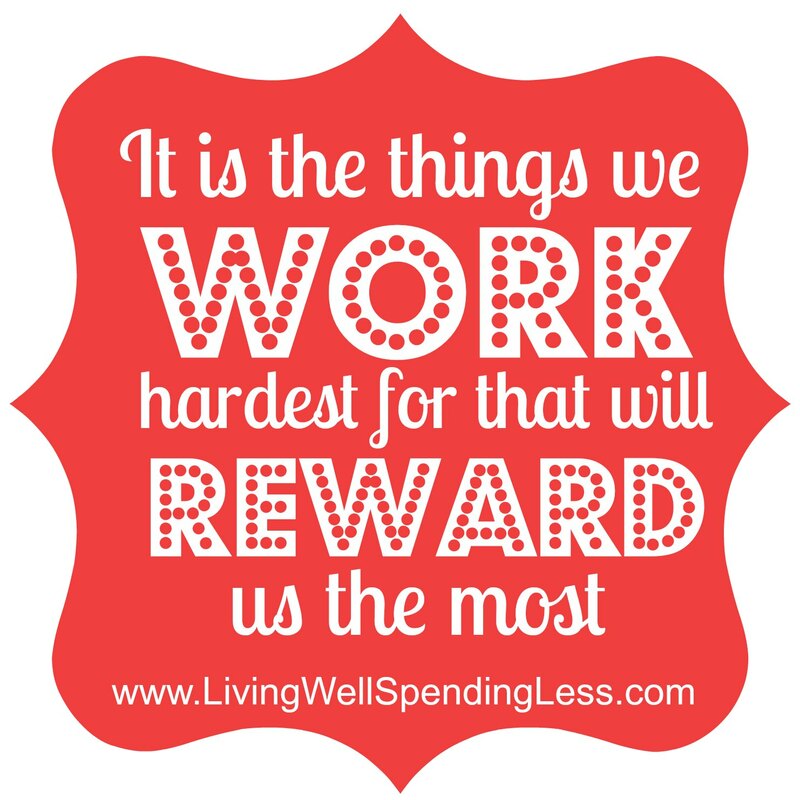 It's the hardest thing in the world - to do what we want. And it takes the greatest kinds of courage. The hardest part of writing is not to get the ideas but to remember, why it is important to get them. The hardest thing usually to leave behind, as was the case now, can loosely be called the conscience. It's the hardest thing to come up with an hour of material that can consistently keep people laughing. Life's hard in Haiti right now. And the hardest thing is that the future does not lie with one person. I'm 52 years old and blindness has been the single hardest thing I deal with every minute of every day. The most fundamental law of tragedy is that the moments of greatest happiness are the hardest to attain. Parents are the hardest-working members of the population. But they do it for the highest wages. Kisses. The hardest part of living is making peace with your past. Most of all, it's making peace with yourself. Staying at home with your kids is probably one of the hardest jobs, emotionally, physically and mentally. Look, dear! How adorable. When pop music tries its very hardest, it can be almost as good as Sven Hassel. I never understand how writers can succumb to vanity - what you work the hardest on is usually the worst. It was unfair that people who longed for love the most, searched the hardest for it, found it so elusive. Things you can't understand are always the hardest to bear. To know why is the first step to consolation. Even our hardest prayers are easy for the Omnipotent One to answer because there is no degree of difficulty. The hardest lesson in the world: Maybe it's just that when things are gone they're gone. They aint comin back. 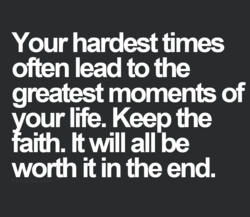 Fighting for happiness is the hardest thing you'll ever fight for, but it's the only thing worth fighting for. ...the most obvious, ubiquitous, important realities are often the ones that are hardest to see and talk about. One of the hardest things about my job is that there kind of is no one rulebook that applies to all situations. It is not when it is dangerous to tell the truth that its advocates are hardest to find, but when it is boring. I don't care what anybody says. The first tournament is not the hardest one to win. It's always the second one. The 2 hardest things you'll have to do when running a company are recruiting and talking people out of leaving. In the eye of the universe, man is nothing! And man's hardest job is to be able to get rid of this nothingness! Wherever humanity has made that hardest of all starts and lifted itself out of mere brutality is a sacred spot. The hardest piece of nonfiction I ever wrote isn't anywhere close to the easiest piece of fiction I never wrote. I need to live like that crooked tree--... that knelt down in the hardest winds but could not be blasted away. The hardest thing for a musician to learn is how to play WITH people. That's what made the Basie rhythm section. 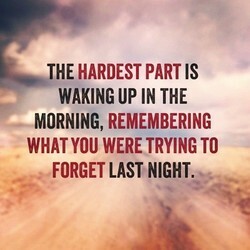 I think the hardest part [is] the priorities. There are an awful lot of things to do [being Secretary of State]. The hardest part is starting. 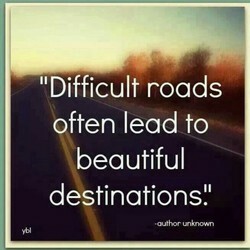 Once you get that out of the way, you'll find the rest of the journey much easier. I have never even had a sip of alcohol, never have done drugs. The hardest thing I have ever done would be Pepsi. Lacy was a pleasurable fight. It wasn't my hardest fight because I won every single minute of every single round. After self-nurturance, listening to the whispers of our hearts is probably the hardest task we've ever attempted. I sometimes wish I were African American because people don't bash them afterward. It's the hardest to be a woman. We need to ensure the poorest in the planet - who will be hardest hit by the financial crisis - are not forgotten. The hardest [part] is some of the misperceptions that are leveled against me as a person and against Muslim women. That's my personality - to end up taking the hardest road possible to get to the top. 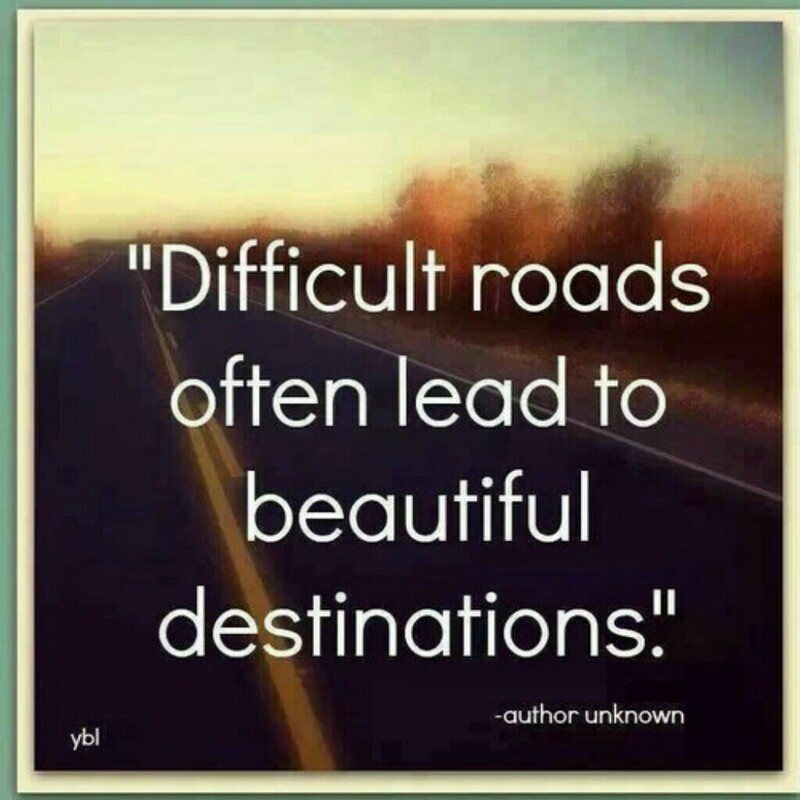 But I think I will get there. I think the hardest obstacle I've ever had to overcome in my life is the illness and passing of my mother to cancer. The irreversibility of time. That's the hardest thing to accept at our age, that's the most violent aspect of death. I'm inspired by failure. The process of defeat â picking yourself back up again is the hardest thing in the world. She said that her father's death had been the hardest thing in her life. "We are all children until our fathers die. Every human being in that case resembles Christ in his loneliness; and that is the hardest part, that's real hunger. A good friend is one of the hardest things to keep in this life. Don't forget that sometimes you have to work at it. In my experience, the hardest thing about having someone "come out" to you is the "pretending to be surprised" part. You know what's more difficult to do organically? Laughing. It's actually one of the hardest things to do on camera. The HARDEST PART about BREAKING UP is the next day, opening your notebook only you see I LOVE YOU scribbled all over. The hardest thing to believe when you're young is that people will fight to stay in a rut, but not to get out of one. For an individual fully to play himself, rather than to sound like someone else, is possibly the hardest thing to do. When it's hardest to pray are usually the times I need to pray the hardest. Not sure if that's irony or common sense. It's not the man who pushes himself the hardest... it's the man who pushes himself the hardest after it gets painful. As all entrepreneurs will say, "surround yourself with good people". That is the hardest thing : finding good people. Didn't you ever notice how it's always people who wish they had somethin' or had done somethin' that hate the hardest? The hardest thing about being a leader is demonstrating or showing vulnerability. And that has a lot to do with trust. The sensation of dying is sweet, sensuous, placid. It is the easiest thing in the world to die. 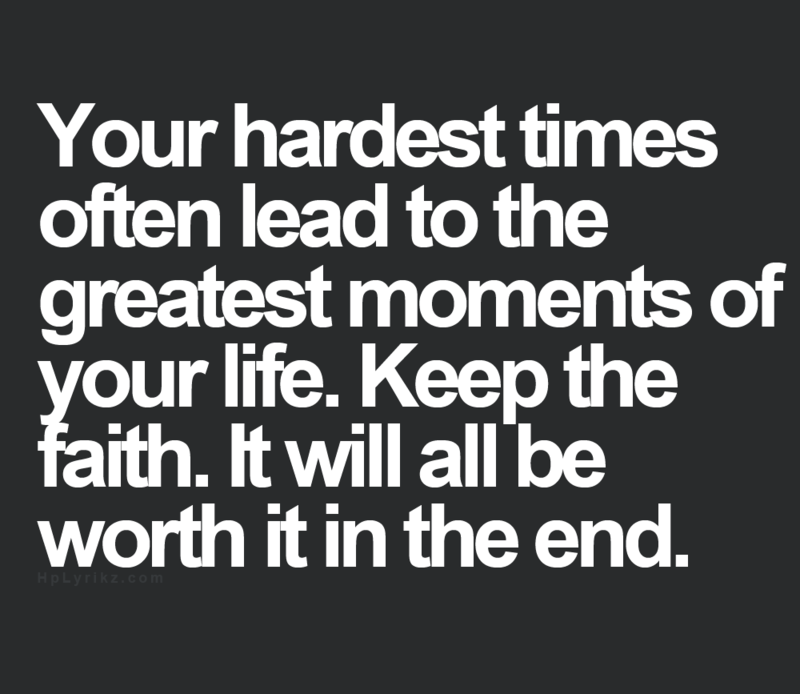 The hardest is to live. Well I can't rightly say (which player hit the ball hardest), but the ones (home runs by) Ruth hit got smaller quicker. The most phlegmatic dispositions often contain the most inflammable spirits, as fire is struck from the hardest flints. Selling is the easiest job in the world if you work it hard-but the hardest job in the world if you try to work it easy. I've made many documentaries, but prostitution was the hardest in terms of gaining the trust of the people being filmed. My guess is that fearful events are the hardest to root out. They're the ones we naturally remember the best, after all. I don't feel like singing should be taken lightly. It's one of the hardest things I've ever done, but it's coming along. England was never my home. I had a home there but Dublin is my home so leaving Ireland was the hardest thing I had to do. Plot and scene are still the hardest things for me, though I think they're the building blocks of what makes a story work. how to divide ourselves fairly between ourselves and the rest of the world is the hardest question we ever have to answer. Perhaps the hardest thing I've learned, and still struggle with, is that I don't have to be finished in order to be whole. The biggest (and hardest) lesson I've learned in life is that the external world is just a reflection of the world within. As a conductor I find the hardest tasks are to listen to the instinct of a musician and to hear the music behind the notes. One of the hardest parts of writing is writing from the gut or the heart or something like that rather than intellectually. The very gnarliest and hardest of hearts has some musical strings in it; but they are tuned differently in every one of us. I've made peace with myself. Good for you. That's the hardest war of all to win. Didn't say I won. Just stopped fighting. General Longstreet,when once in a fight, was a most brilliant soldier; but he was the hardest man to move I had in my army. I think the hardest part of writing anything is getting exposition out easily, without hitting people over the head with it. The hardest thing about being an outcast isn't the love you don't receive. It's the love you long to give that nobody wants. The best part about being a teacher is that it matters. The hardest part about being a teacher is that it matters every day. If I train the hardest, run the longest, go beyond what anyone else has the mental determination to do, I will be the winner. 1 of the hardest parts about being a founder, is that there are a 100 important things competing for your attention each day. Sachin Tendulkar is the hardest batsman I've ever had to bowl to because he judges the length a lot quicker than anyone else. The hardest animal was the vulture. But the horses were great, the dog was great [in Valley of Violence]. It was really easy. One of the hardest things for me, now that I'm famous, is finding people who can read my stuff and give me an honest critique. The first one is always the hardest," he said. "The first?" "The first one you love who dies," he said. "It gets easier, after. No matter what you do, you can never please everyone. And that was the hardest lesson to learn. In fact, I'm still learning it. As is my way, when I start something that I've put off doing, I always start with the hardest form. So I started with Ashtanga. My style is constantly evolving. Style has been something that I think has been the hardest thing for me to come to terms with. In some of the darkest and hardest moments, there is always a part of me that is okay. And I can always access that part of me. Honestly, one-hour drama is the hardest format there is. I think it's harder than movies, and it's harder than half-hour comedy. The softest things in the world overcome the hardest things in the world. Through this I know the advantage of taking no action. I wanted to run my race. I didn't want to sit there and play games and see who could kick the hardest. I wanted it to be a race. One of the most empowering things about being a self-employed actor is also one of the hardest things; I get to set my own goals. Being yourself is one of the hardest thing because it's scary you always wonder whether you'll be accepted for who you really are. The wages of sin are the hardest debts on earth to pay, and they are always collected at inconvenient times and unexpected places. I found the ability to become still. The hardest thing for people to do is just be still. And in that stillness you create motion. The hardest thing I think I've ever had to do to tell you, the woman I love, that I'm having a baby by a woman that I barely know. I value so many people who have to work full time, definitely single mothers. Their work is the hardest work. I applaud it so much. I try not to repeat myself. It's the hardest thing in the world to do -- there are only so many notes one human being can master. . I pretended not to understand. One of life's hardest jobs, to make a quick understanding slow. I think I succeeded, thought Herzog. I had a screening in Baltimore where one of the hardest individuals just broke into tears at the end. That's the response you want. I think the most important thing for an actor is to stay current and stay relevant, and those are probably the hardest things to do. No one told me that it would all happen at the same hallowed time: Mothering is at once the hardest and the holiest and the happiest. The thing about living in New York is that there are other artists; that is the most difficult, I think they are the hardest critics. Perhaps the hardest lesson of all is that there is no such thing as 'getting it right'-least of all with the promulgation of quality. One of the most essential yet the hardest truths that I have had to learn is that every person should be his own hardest task-master. Liberty is the hardest test that one can inflict on a people. To know how to be free is not given equally to all men and all nations. Making sure that the geography and timelines work is always the hardest part of writing. But you owe it to the readers to get it right! âIt's not easy. It's not supposed to be easy. Most people make mistakes. 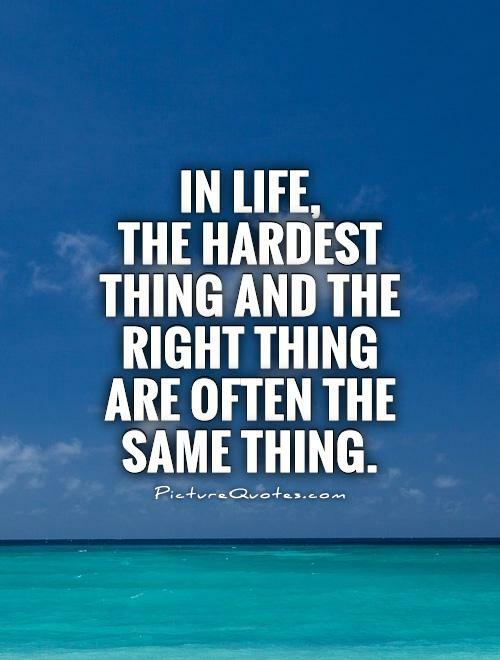 Most people have to learn the hardest lessons more than once. You want to know the hardest thing about being smart? What? I pretty much always know what's going to happen next; there's no suspense. While photography is the easiest medium in which to be competent, it is the hardest in which to develop an idiosyncratic personal vision. Besides, it's the first gift that's always the hardest to pay back. I wouldn't even have been here to do it if you hadn't helped me then. One of the hardest things for a person with autism to do is believe in themselves. But autistics have every right to be as proud as anyone. I do like to make films with a political theme, but sometimes it's nice simply to make people laugh. 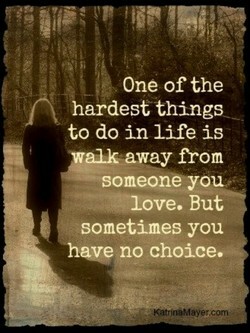 That's the hardest thing to do in fact. The Government justifies keeping everyone else in poverty because people seem to work the hardest when they're right on the edge of survival. No doubt about it, in my career Ron Lyle hit me the hardest. One time he hit me so hard I didn't see it until I saw it on film when I woke up! The hardest task needs the lightest hand or else its completion will not lead to freedom but to a tyranny much worse than the one it replaces. The hardest part about being in radiohead is being inside a giant head that is a radio. Ha ha, little english humour there, or is it a hammer? That's the hardest thing to do-to stay with a sentence until it has said what it should say, and then to know when that has been accomplished. The commercial music video industry is very hard to break into, and until you break in, that first job is the hardest thing in the world to get. The lack of perfection, that's the hardest quality of all, because you're fighting your instincts. You're trained to want to do things perfectly. Have I yet to learn that the hardest and best-borne trials are those which are never chronicled in any earthly record, and are suffered every day! Making the majors is not as hard as staying there, staying interested day after day. It's like being married. The hardest part is to stay married. The country with a low birth rate and low death rate will be hardest hit - and so the poor may indeed inherit the earth, because they're healthier. Even when there are no results. Things you can and can't do. Things you can and can't win. Even if there's none of that, I'll still try my hardest. Probably the hardest thing to do was the beginning of the movie ["300"], I think, when we were in Sparta and all that - just getting in the groove. College basketball was one of the hardest, most rewarding experiences of my life. Every single day on the court was a mental and physical challenge. Letting go is the hardest part... but you have to look at it through their eyes and realize the pain you caused them is that same pain you feel now. Never regret something, because at one point everything you did was exactly what you wanted to do. 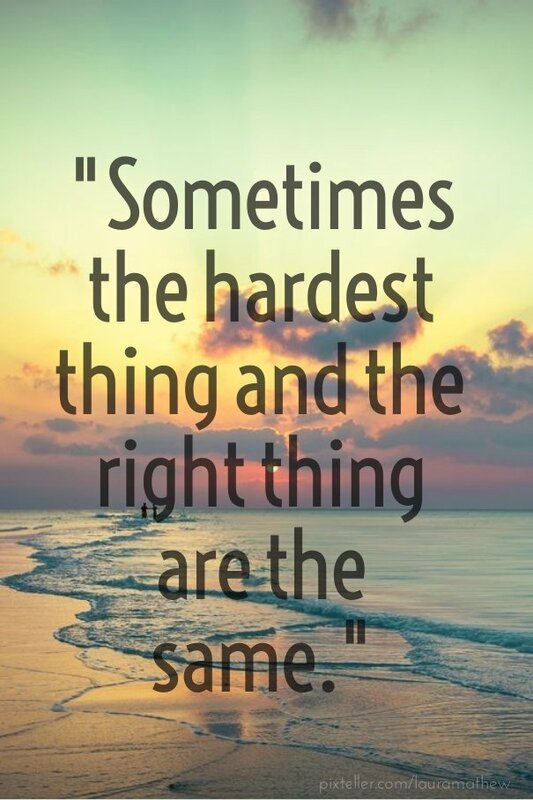 And sometimes that's the hardest thing to realize. Israel, Palestine, if you're going to make it, that probably is the hardest deal there is to make. People are born with hatred, they're taught hatred. The surgeries were the hardest scenes for me because it's literally balancing so many balls in the air, at the same time, and each surgery is different. Silence is one of the hardest kind of arguments to refute. There is no good substitute for wisdom; but silence is the best that has yet been discovered. 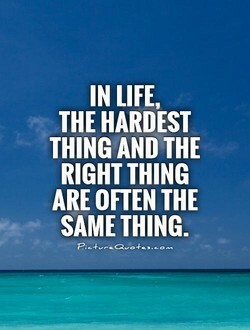 The best things in life are often the ones hardest to get. Yet they are also the ones that are the easiest to find, usually right in front of your face. The stubbornest of wills Are soonest bended, as the hardest iron, O'er-heated in the fire to brittleness,Flies soonest into fragments, shivered through. The saddest thing in life and the hardest to live through, is the knowledge that there is someone you love very much whom you cannot save from suffering. The hardest thing for me is crying. Where I'm from, it's been instilled in me since I was little that men don't cry. Thank God for teardrops and menthol. Let no one say that taking action is hard. Action is aided by courage, by the moment, by impulse, and the hardest thing in the world is making a decision. I think the hardest thing about being an actor is between jobs when you don't know and wondering if you'll ever work again. It's kind of a crazy business. And yet, anything real, anything strong, was never easy. She'd been taught from an early age that the things that mattered most were the hardest to obtain. Marriage is the hardest thing you will ever do. The secret is removing divorce as an option. Anybody who gives themselves that option will get a divorce. I had always been the hardest on myself when I drew and painted. I am not hard on myself when I write. I like what I write, so it is a much happier process. Trying to be funny is one of the hardest things on the planet. I think that's tough for everyone. If you're just naturally funny it's a hell of a lot easier. Screenplays are the hardest thing to try to get right. They look so simple when they work, but they really destroy your brain cells trying to get them there. I'm a fastball hitter. It's no secret I'm looking for a fastball every pitch. I think it's one of the hardest things to do in sports-to hit a moving baseball. I believe in choosing the hardest book imaginable. I believe in reading up on what others have to say about this difficult book, and then making up my own mind. Sometimes the first step is the hardest: coming up with an idea. Coming up with an idea should be like sitting on a pin-it should make you jump up and do something. The easiest thing is to react. The second easiest thing is to respond. But the hardest thing is to initiate. " When people ask you to tell them what to do, resist. The hardest lesson I've had to learn in my life is that my intelligence is inversely correlated to my humility. The more I thought I knew, the less I actually knew. This is the hardest thing I've ever done, being in fashion business, because that's what it is at the end of the day, a business, and you have to make sure it works. Writing a novel proved to be the hardest, most self-analyzing task I had ever attempted, far worse than an autobiography: and its rewards were greater than I expected. Truth is the hardest substance in the world to pin down. But the one certainty is the awesome penalty exacted sooner or later from a society whose reporters stop trying. I can sometimes be a demanding person and Cristiano is really patient dealing with my personality. So I also try my hardest to offer him all my support when he needs it. With our intimate partners, we can take responsibility for the parts of ourselves that are hardest to deal with - because we finally know ourselves well enough to do so. I really need to push myself and try my hardest every time, because I come from the premise that I'm not very good and I have to give my best. Otherwise, I don't deliver. Maybe the hardest lesson is the one I have to learn over and over again, that each story is its own animal, that every story I write is going to come only with difficulty. Sometimes the hardest part of my job is the incessant reminder of the fact we're all trying so assiduously to ignore: we are here temporarily ... life is only ours on loan. That's the hardest part of this whole process. The best part is picking the players and the worst part is telling basically five players they are not going to play tonight. ... a great many times in this world, the hardest work we are given is just to sit to one side and neither speak, nor act. It is then prayer becomes an unspeakable blessing. Acknowledgements With grateful thanks to the three least-appreciated and hardest-working proselytizers of the written word: independent bookstores, librarians, and teachers. The hardest part about being ghosted is the fact that you can't deal with the ghoster directly. You just never hear from them again, and everything feels odd and incomplete. There can be no doubt that probability increases with practice. Fortune favours the brave, fortune favours the prepared mind, and fortune favours those who work the hardest. The hardest instruments for women to play are bass and drums. Drums because of the physicality needed and bass just because its heavy and it's not an easy instrument to play. I was extremely unpopular at school. Once the hardest kid in school beat me up and there was a plan for about 30 other kids to kick me in the face once I was down. Good times! The hardest obstacle I've ever had to overcome in my life is losing my mom four years ago. I wouldn't even say that I've overcome it, really. I don't imagine that I ever will. I do feel like the hardest thing is to do something simple and tap into whatever remains of our common language rather than cultivating your own willfully esoteric vocabulary. It is always hardest for me to write a book that has kids in it close to my kids' ages. It is always hardest for me to write a book that has kids in it close to my kids' ages. My only real daydreamy casting over the years has been Natalie Portman for Denna. She's an amazing actress, and Denna is going to be one of the hardest characters to pull off. The people whom the sons and daughters find it hardest to understand are the fathers and mothers, but young people can get on very well with the grandfathers and grandmothers. Piece by piece living is hard to do. It may even feel like the hardest thing. But it has this going for it: you never need to know what it is you're carrying on your shoulders. I have found that lived out, the hardest place to be a Christian is to be in a nice prosperous country with a lot of entertainment options because there's so many distractions. I really believe that the single hardest thing in business is building a company that does repeatable innovation... and just has this ongoing culture of excellence as it grows. My belief of book writing is much the same as my belief as to shoemaking. 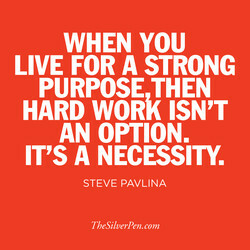 The man who will work the hardest at it, and will work with the most honest purpose, will work the best. The hardest thing about being famous is that ... in a conversation everybody's agreeing with what you're saying. ... You need people who can tell you what you don't want to hear. Of all the passions, jealousy is that which exacts the hardest service, and pays the bitterest wages. Its service is to watch the success of one's enemy; its wages to be sure of it. I enjoy comedic things. 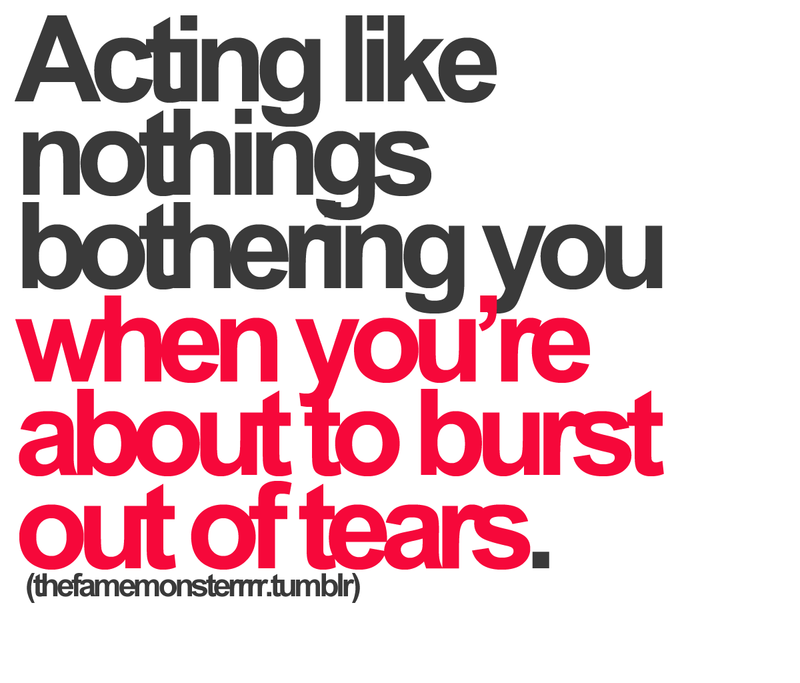 People don't understand it's the hardest thing to do. We have a ratio of 25-to-1 between good dramatic actors and people who are considered good comic actors. It has been said that the hardest job in the world is raising a child, but the people who says this have probably never worked at a comb factory or captured pirates on the high seas. I try my hardest to push the point that I am a feminist. I really think it`s important that people know that the women in this industry are empowered. They run it, man. It`s awesome. "¦ it was raining on Himmel Street when the world ended for Liesel Meminger. The sky was dripping. Like a tap that a child has tried its hardest to turn off but hasn't quite managed. Writing I think, out of what all of us do, writing is the hardest. You're the only who start with nothing except what's up here. You do that. 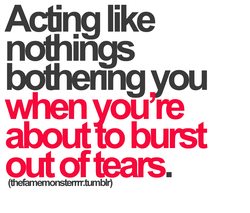 It's really hard I think, acting is not. The truth is that the fall of Napoleon is the hardest blow that our taxing system ever felt. It is now impossible to make people believe that immense fleets and armies are necessary. There are things that we know, and there are things that we don't know. Then there are the things that we don't even know that we don't know. 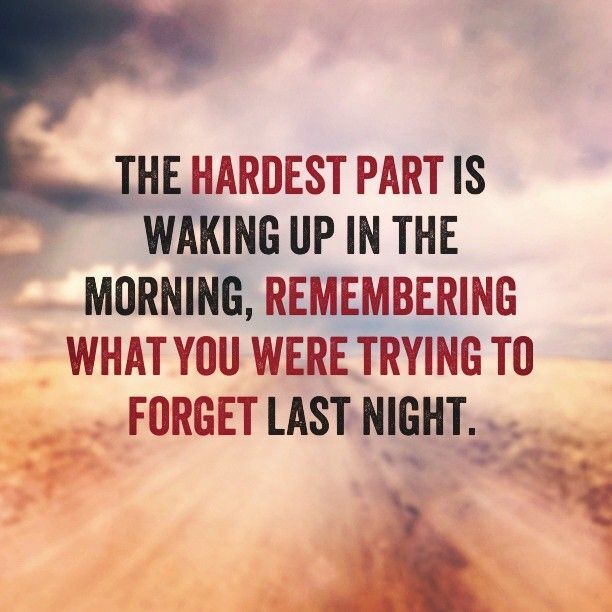 Those are the things that are the hardest. One of the hardest conditions of boyhood is the almost continuous strain put upon the powers of invention by the constant and harassing necessity for explanations for every natural act. The hardest thing is trying not to correct everything on the Internet. It'd be night and day - wrong, wrong, wrong, wrong. So you just have to say, All right, I'll take it, bring it on. We thought the hard part was overâbut we were wrong. Living is the hardest part. Figuring out how to live your life when you're all busted up inside and outâthere is nothing harder. That is one of the hardest things I have ever had to do in my life, running through the jungle in heels. Because also, mud was often times three feet deep, and that was full on for sure. The hardest thing about movies is doing take 12, 13, and 14, and finding new ways to do the same lines. So the early takes are actually easier and I think there's more surprises in them. Larry Fitzgerald is one of the hardest-working guys I've ever seen. We spent some time training in Minnesota last offseason, and to see what he does to get better, he has to be the best. We ought to observe that practice which is the hardest of all-especially for young physicians-we ought to throw in no medicine at all-to abstain-to observe a wise and masterly inactivity. I want to be the band everyone knows that goes hardest. Plays the hardest, parties the hardest, lives the hardest, loves the hardest, does everything the hardest, harder than anybody else. The hardest thing to do in this business is to still be around. When music changes, when labels' resources have dried up, it becomes harder and harder to continue to make a living at this. The hardest thing for a basketball player to do is dribble two really hard dribbles. You are flying, and then pull up and shoot a ball from 15, 17 feet. It's the hardest thing in the game. That's always the hardest thing when someone completely has you fooled so much, that you think they're just never going to hurt you, then they do. That's when you get the worst heartbreak. If you're going to have a book full of clever people and nobody ever jokes, it's just not going to ring true to the reader. That said, humor writing is the hardest kind of writing there is. I think the saddest people always try their hardest to make people happy because they know what it's like to feel absolutely worthless and they don't want anyone else to feel like that. I learned pretty quickly that it's your WORK ETHIC that LEVELS THE PLAYING FIELD. Education helps, but I've met failures who have Ph.D.s. 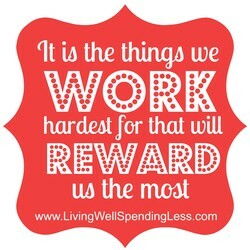 I believe the hardest worker is always going to win. It's not about talent, it's about heart. It's about who can go out there and play the hardest. They're not going to give us anything, so you've got to go out there and you've got to take it. Hardest emotion? They're all pretty damn hard; I don't know really if there's one specifically, but I do think, I don't know what's happening or what I'm feeling when I'm actually listening. The things we felt most are hardest to put into words. Hate is always easier to speak of than love. How shall I make love go through the sieve of words and come out something besides a pulp? Take the very hardest thing in your life - the place of difficulty, outward or inward, and expect God to triumph gloriously in that very spot. Just there He can bring your soul into blossom. Giving others the freedom to be stupid is one of the most important and hardest steps to take in spiritual progress. Conveniently the opportunity to take that step is all around us every day. Sometimes it ain't about being the most talented. Sometimes it ain't about being the smartest. 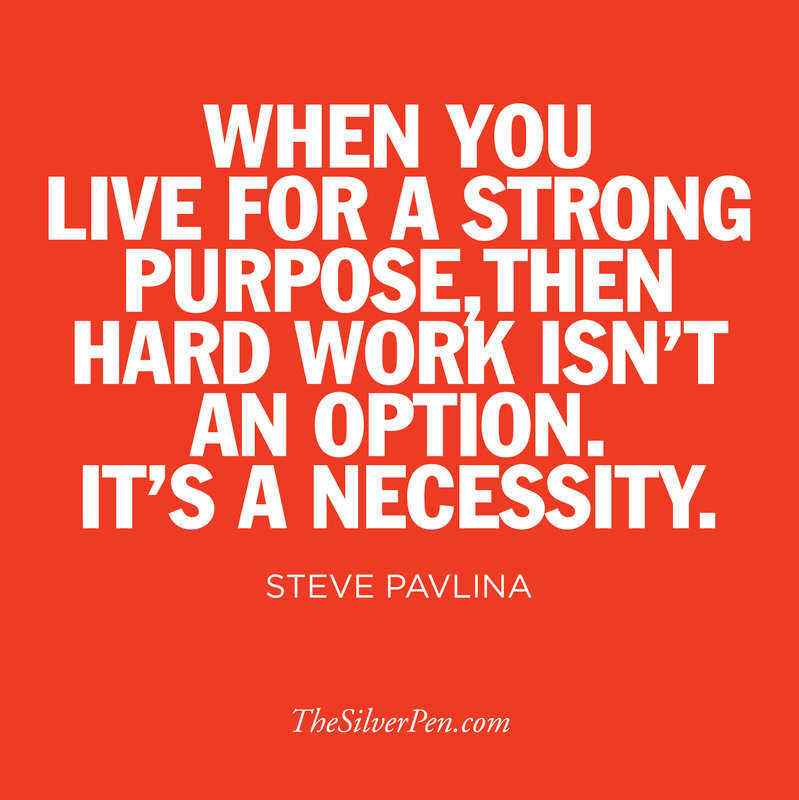 Sometimes it's not even about working the hardest. Sometimes it's about consistency! Consistency! Itâs fun to watch someone like John Goodman, and yet it takes work. People say âheâs not acting, heâs being himself.â Well itâs hard to be yourself, itâs the hardest job there is. One of the hardest things I've had to learn is to let it go. At the end of the show or the end of the rehearsal day to just take a deep breath and say, "Alright, that was it. That was the day." I am able to hang with the hardest, the baddest, the worst, and I'm able to hang with the most proper and be at ease. I'm able to hang with any skin colour, any belief. I just fit in everywhere. Sometimes, of all the people in the world, the one who is the hardest to forgive-as well as perhaps the one who is most in need of our forgiveness-is the person looking back at us in the mirror. One of the hardest things we must do sometimes is to be present to another person's pain without trying to "fix" it, to simply stand respectfully at the edge of that person's mystery and misery. Hitting. That's what I enjoy most. Realistically, it's probably the hardest thing to do in all of sport. Think about it. You've got a round ball, a round bat, and the object is to hit it square. The hardest part of art-making is living your life in such a way that your work gets done-over and over-and that means, among other things, finding a host of practices that are just plain useful. I think I bit off more than I could chew, I thought the marathon would be easier. For the level of condition that I have now, that was without a doubt the hardest physical thing I have ever done. Why is the word yes so brief? it should be the longest, the hardest, so that you could not decide in an instant to say it, so that upon reflection you could stop in the middle of saying it. One of the hardest things for me as an exec was always, particularly as you progress further in the system, is that you're pushed further away from the day to day, the mechanics of making a movie.